Heads up! Our crowdfunding will end on August 17th. Those who already have Beta access will be able to keep it till the release of the full game on the 13th February 2018. The game will soon be open for preorder on Steam. Aquellos que ya tengan acceso Beta podrán mantenerlo hasta el lanzamiento del juego completo el 13 de febrero de 2018. El juego pronto estará abierto para pre-ordenarlo en Steam. Gracias a todos por su increíble apoyo! Tutti coloro che hanno già accesso alla beta potranno continuare a giocarci fino alla pubblicazione del gioco completo, il prossimo 13 febbraio 2018. 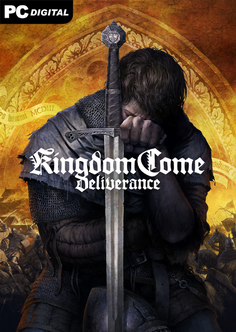 I preordini su Steam di Kingdom Come: Deliverance saranno aperti presto. Grazie a tutti per il vostro fantastico supporto! Don’t delay it for fourth time, douzo. Got to put some moneys in my steam account and dish out some kcd Christmas gifts wooo. Drfussy is the amazon.co.uk pricing accurate. it is set at at 34.99 pound -38.73 euro? should it not be 45 pound there abouts? hate to see yous lose money now. Yes, the price on Amazon in accurate for Amazon. We don´t make the price for Amazon, maybe they have a deal with Deep Silver about it. 1 How much money was raised until now? 2 If I buy the game now, will the money that I spend go in the development of this game or in the sequel? 3 Are there more ways to support you besides buying the game? Development, of course. They still did not finish their first. They will start raising money for sequel from sales of game after release date. Everything before is for KCD. How do you imagine it works? That they will track your electronic 40 bucks to make sure that the exact 40 bucks you paid are used for salary this month and not in March 2018? At this point, they obviously must have enough budget to complete the game. Together with Kickstarter it is around 4 million USD now. I am surprised to know that warhorse studios is making such a great game with small budget.and even game is comparable to other games like skyrim or witcher3 made by hundreds of million dollars. The actual budget is way bigger, money from crowdunding are just part of it, they have aslo private investor. When they were asking for 500k USD on kickstarter, they said it was meant to be 10% of the budget. And the game were supposed to be finished 2 years ago. We can only guess what the real budget is, but it is definitely over 10 million USD. Considering the delays, my guess is it’s over 15 million now, and I wouldn’t be surprised by 20. But again, these are just guesses. Also keep in mind that the actual net gain from the crowdfunding after deduction of all the fees, taxes, backer rewards and other expenses will be actually close to 2 million, not the 4. So the crowdfunding is really rather small part of the budget. Kickstarter was small, but vital part of the funding. Without it reaching its goals, KC:Deliverance wasn’t going to be made.